Aces High Snack Bar offers a wide variety of items for your enjoyment. All orders can be called in ahead of time for take-out. Call 731-2494 or 731-2495. Enjoy pizza by the slice every weekday for only $2! Daily Lunch Special: Come in every day to see what the daily lunch special is. 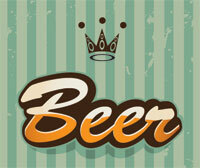 Friday Beer Special: Fridays, 3 to 6 pm – enjoy your favorite domestic draft beer at only $1.25 per cup. Lettuce, tomatoes, onions, and shredded cheese. Ranch, blue cheese, French, 1000 island, Italian, or honey mustard. Our homemade soup or chili are served Monday – Friday. Sandwiches include: Tuna, or Grilled Cheese served on white, wheat, rye or sour dough bread. Comes with chips and a small drink. Light, fast, easy. Come in and try one today! Enjoy our ever famous ½ pound Malmstrom Burger, comes with your choice of fries, tater tots, or a side salad. Try the “Nuke” – our chicken sandwich version of the Missile Burger. Don’t forget the always popular Mushroom and Swiss Burger! Sandwiches include: Chicken, BLT, Turkey, Ham & Cheese, Tuna Salad, Grilled Cheese, Philly Cheese Steak, Reuben and Pulled Pork. Also available are Chicken Strips and Nachos. Stop by today for a great lunch in a clean and comfortable setting. There are 5 different beers on tap at Aces – they are Bud Light, Miller Light, Coors Light, Beltian White, with one additional local Montana beer featured monthly. The mini-bar includes Jack Daniels, Jose Cuervo and Absolut Vodka.